The Perfect Choice: Lonely Planet Japan, our most comprehensive guide to Japan, is perfect for both exploring top sights and taking roads less travelled. Looking for a guide focused on Tokyo? Check out Lonely Planet Tokyo guide for a comprehensive look at all the city has to offer; Best of Japan, a photo-rich guide to the country's most popular attractions; or Pocket Tokyo a handy-sized guide focused on the can't-miss sights for a quick trip. 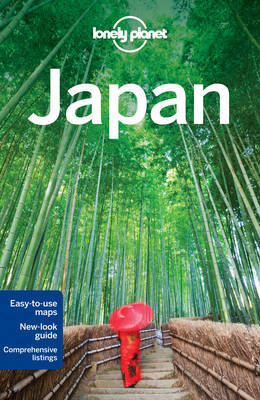 Buy Lonely Planet Japan by Lonely Planet from Australia's Online Independent Bookstore, Boomerang Books.